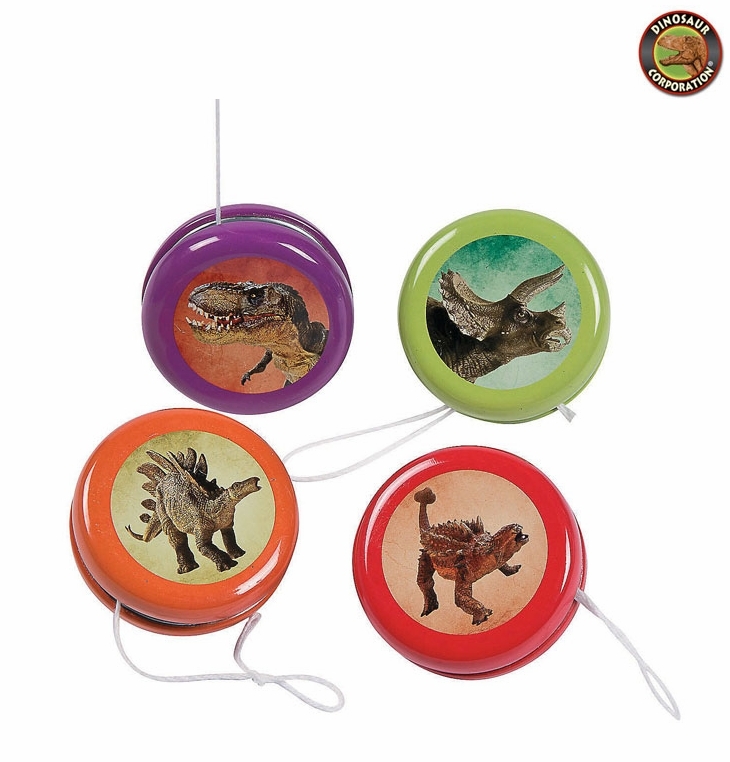 Get ready for some prehistoric fun with these Dinosaur Yo-Yos! Featuring dinosaur images of well-known dinosaurs T-rex, Triceratops, Stegosaurus and Ankylosaurus. These classic toys for kids make fantastic dinosaur themed birthday party favors, classroom rewards and everyday giveaways!